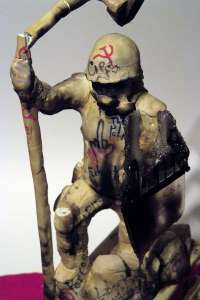 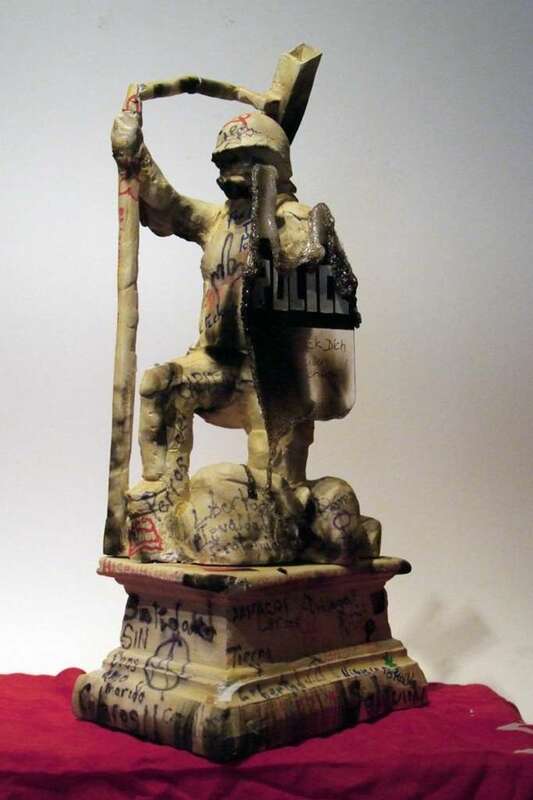 A patinated plaster sculpture marble natural scale, contains two characters, the first is a riot police in position conqueror in one hand have a coat of riot police and the other as if it were a weapon, a piece of post and finally this a video surveillance camera, have a foot placed on another character, a woman on the ground, beaten, and Amagada in fetal position. 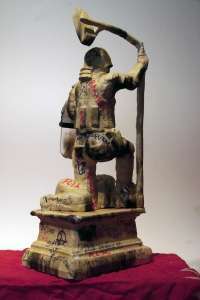 They will be on a rectangular pedestal, on the sides two reliefs where the ways that humans use technology to destroy and oppress their fellow men, the biggest cost will be a sculpture (bas) of a cockpit of a fighter bomber appreciated appear , on the opposite side, an outline of the missile shield in one of the smaller sides, the back, a short sculptural tribute to the stun gun to 10,000 volts.What does not kill but knocks! 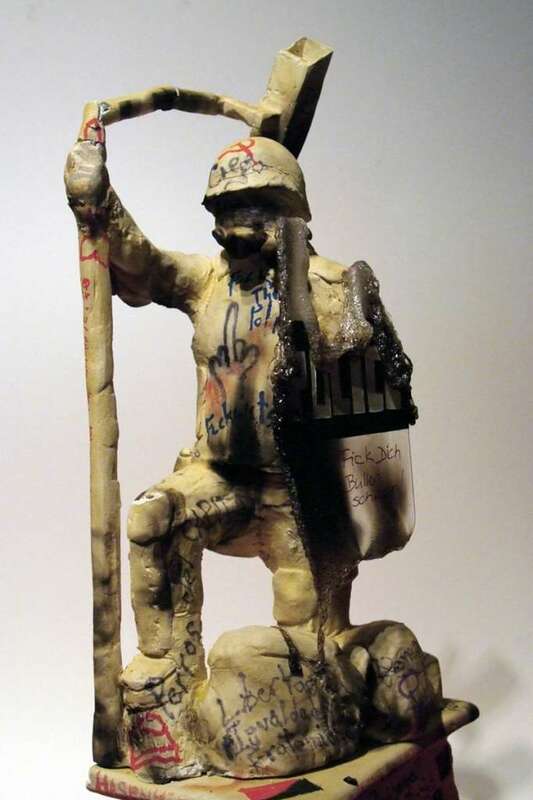 The location is raised out of the yard of the Faculty of Fine Arts, in my student a work might involve a provocation, which would pay undoubtedly the work, so I'm interested in what they can do these young artists After presenting a work of this nature, I want the piece is painted, marked, transformed by pedestrians.